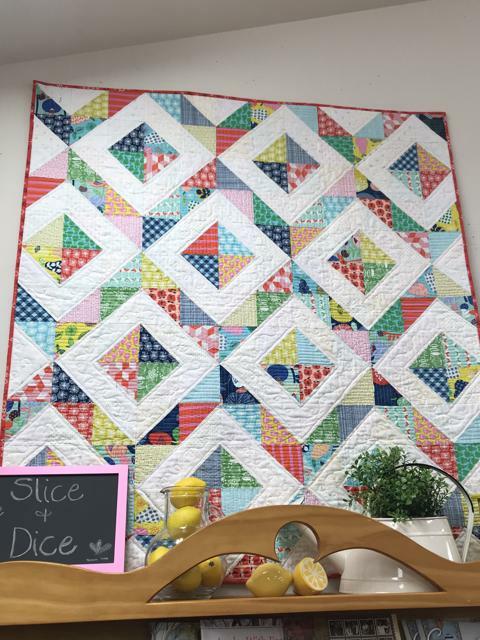 This fun quilt could be made using your favorite layer cake, scraps or yardage. The awesome thing about this method: after sewing and trimming, your scrap pieces make a small bonus quilt. 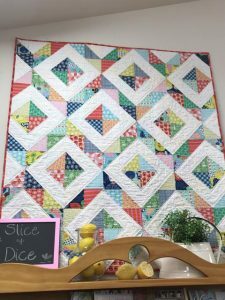 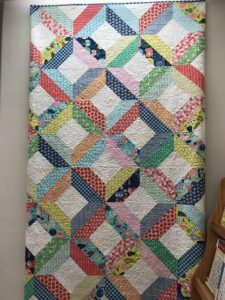 I can just imagine the possible fabric combinations on this fun quilt from Emily Herrick Designs.